It is with deep regret and sadness we announce the death of Old Owenian (1953-60) and Old Owens Cricket Club stalwart Edward James “Ted” Cook. Ted passed away on Monday 25th December 2018 after a long battle with cancer. Those who knew him will not be surprised to learn that he never let it get him down, and fought tooth and nail to retain his faculties and dignity until the very end. Those in the care home where he died remember him as a kind, generous and funny man, who rarely complained. Doubtless countless others will agree. Ted left Owen’s in 1960, joining the North Thames Gas Board, and worked all his life in gas engineering, finally retiring in 2007. 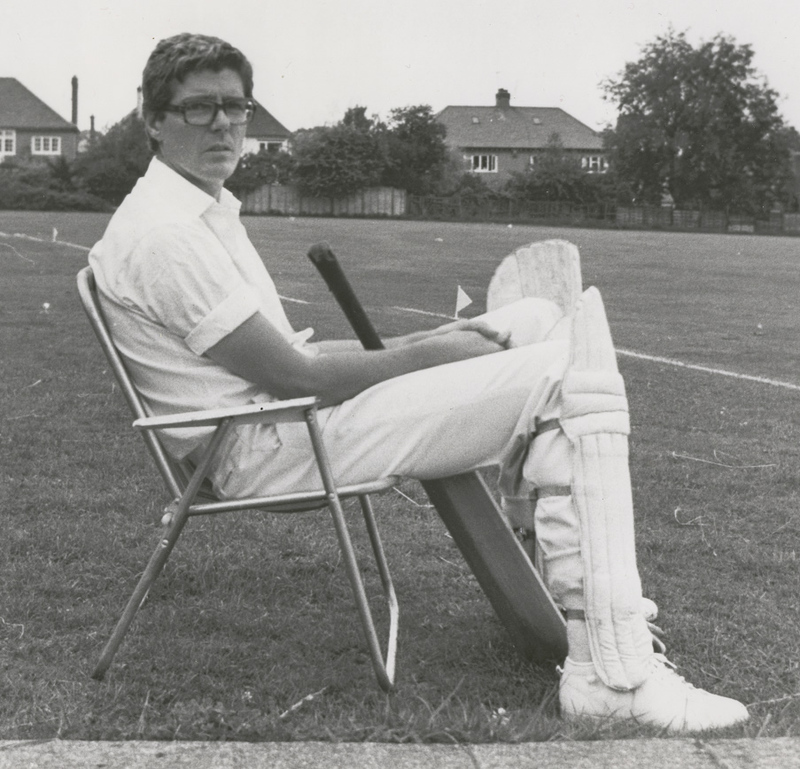 After leaving school, Ted was for many years involved with the Old Owen’s 2nd XI cricket team, and was team secretary for a prolonged spell (always of course ensuring the team bag was up to scratch). He was primarily an off-spin bowler, though general consensus was that this was not the case. Wicketkeeper Dennis Elston for one, suggested he had “never turned a ball”. Add to this an unparalleled prowess as a no. 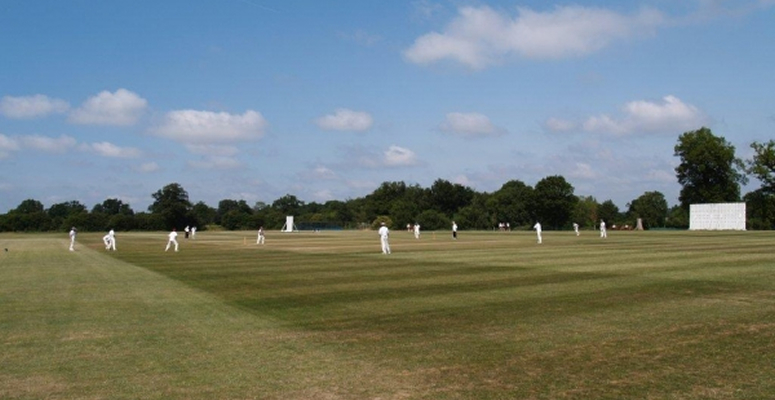 10 or 11 batsman (6 and out being the usual story) and Sam Kershen regularly instructing him to “stop dancing about at the wicket”, you have all the ingredients for a long-serving stalwart of the team. His wife Sue spent some years as scorer and often organised the teas. Post-match, Ted frequently joined other members of the team in a game or two of poker and of course, the obligatory beverages. During Ted’s time, regular players included Sam Kershen, Roger McHugh, Ian Dowty, Ken Rowswell, Roy Vandermeer, Bo Shepherd and Keith Freeman. He leaves his wife Sue, son George, daughter-in-law Felicity and grandchildren Tobias and Elizabeth. A memorial service will be held at Worcester Crematorium at 12.15pm on Friday 18th January. Please raise a glass for Ted on that date, preferably of whisky, though he wouldn’t be too picky! Donations, if desired, can be made by cheque and sent to E.J. Gumery and Son, 68-70 Ombersley Rd, Worcester, WR3 7EU, or can be made directly to: Thames Valley Air Ambulance or the Salvation Army. Old Owens Association and Old Owens Cricket Club sends sincere condolences to all the family for their sad loss.